Our 9” x 13” Stainless Steel Bake & Roast Pan is a must-have for every kitchen. The versatility alone will impress you, as it’s ideal for preparing your favorite cake or casserole. The proper heat distribution of this pan means no burnt spots! It’s made with 5-Ply construction and has a T-304 surgical stainless steel baking surface. No other bakeware cooks so evenly! It has convenient handles, and most importantly, it is 100% American Made. 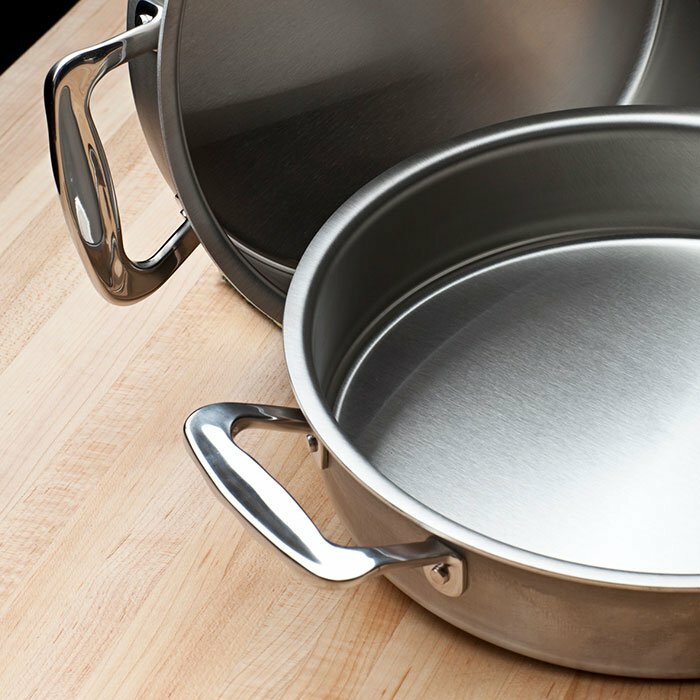 As is the case with every 360 Bakeware product, the Bake & Roast Pan is covered by a Lifetime Warranty. Diameter: 13" x 9" ~ Oven Safe ~ Dishwasher Safe ~ Cladded Matel ~ .07 Gauge ~ T-304 Surgical Grade Stainless Steel ~ 5-Ply ~Handcrafted in the USA. 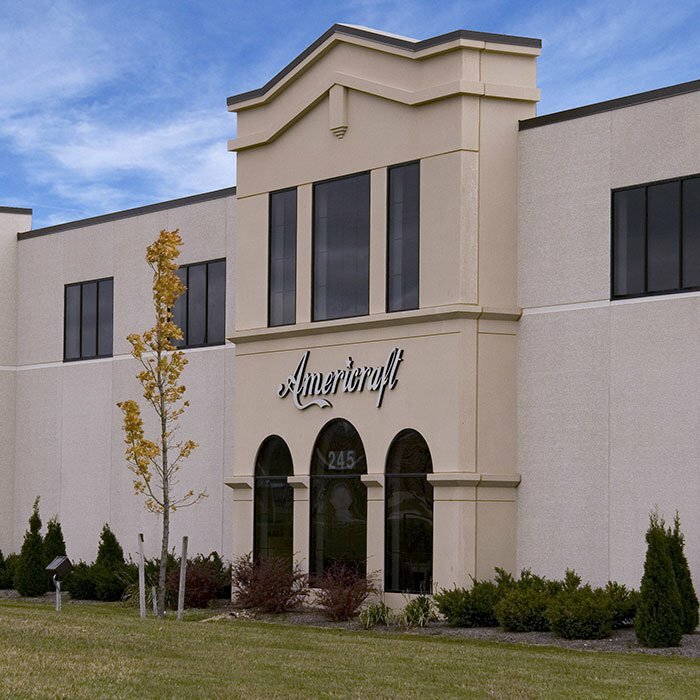 360 Cookware is handcrafted in the USA, which is manufactured in our Green E-Certified factory in West Bend, Wisconsin. 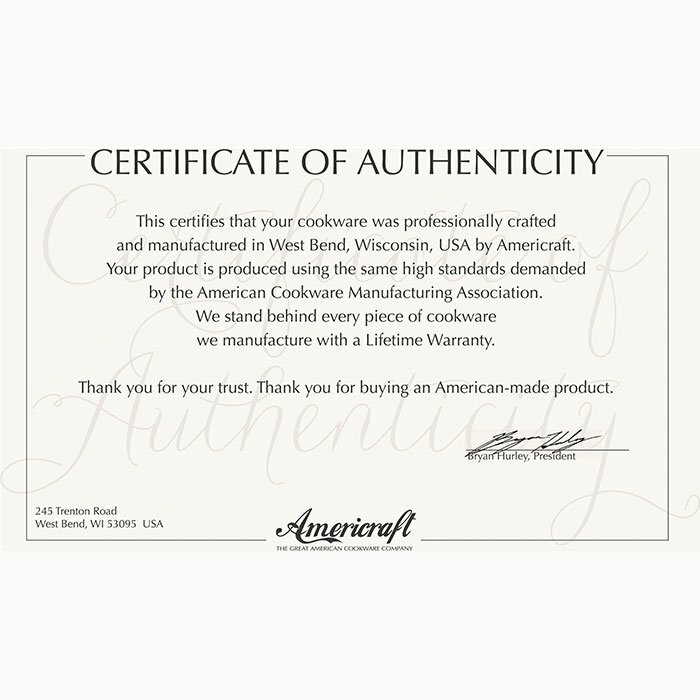 We’re recognized by the EPA and do not use any harsh chemicals while making our cookware or bakeware. 5-ply, .07” thickness designed with T-304 surgical grade stainless steel, encompassing a heat-conducting aluminum core. Your food never comes into contact with soft metals such as aluminum, non-stick coatings, nor other potentially-hazardous elements. Also dishwasher safe. 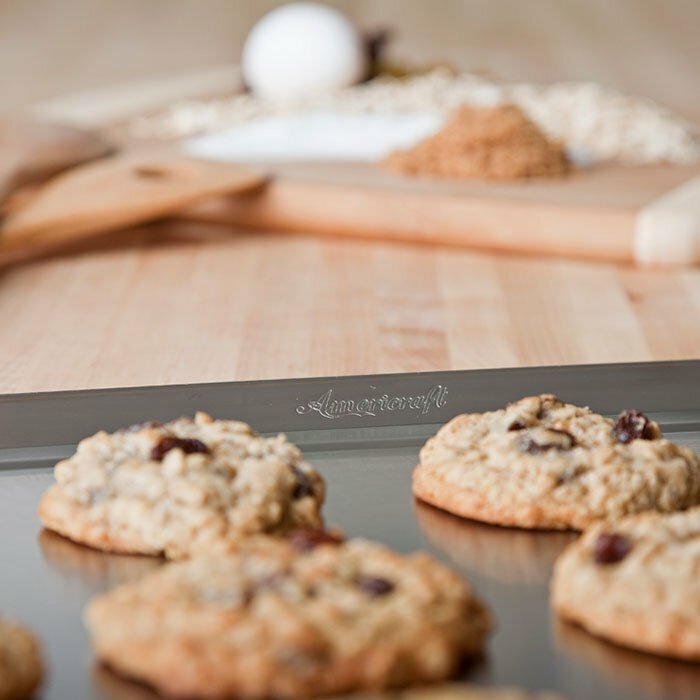 Even and consistent heat distribution - no hot spots for cakes or pies and corner-to-corner, even-heating on baking sheets, durable satin finish aids in heat distribution. Also oven Safe up to 500 degrees.